4.2 million athletes from 170 countries participate each year in nearly 70,000 events run by Special Olympics. Dr. Frank Hayden, a founder of the Special Olympics, altered public perceptions by providing disabled individuals with a chance to excel in sport. 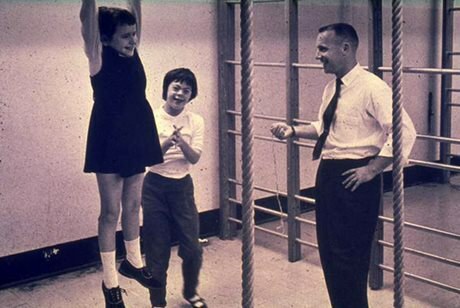 Through his research at the University of Toronto in the 1960s, he helped to demonstrate that, given the opportunity, people with intellectual disabilities could be physically fit. In 1968, while working as Director of the Kennedy Foundation, he organized the first Special Olympics in Chicago. Playing in these first games was a Toronto floor hockey team wearing Maple Leaf jerseys. Canada’s first Special Olympics national competition was held in Toronto in 1976. Hayden toured the world promoting the Special Olympics and helped to establish the Special Olympics’ Office of International Development, of which he served as its first director. Hayden was named to the Order of Canada in 1999. Learn more about the Special Olympics. Read more about Hayden and his work on Special Olympics in Ontario.